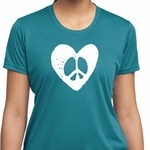 A relaxed fit ladies tank top featuring a distressed love and peace design. 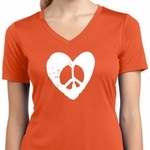 Our ladies tank top is made of 100% cotton. 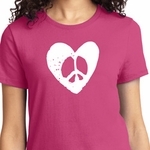 (Neons and Heathers are made with a blend of cotton/poly) Available in sizes Small through 4XL. Machine wash cold with like colors; dry low heat.